Sources say Pro Philips Pronto will re-emerge within 60 days, with “the same name, new owners,” and controllers announced at CEDIA will ship on time. The buzz in Europe is that Philips Pronto is well on its way to a new life with “the same name, new owners,” sources tell CE Pro in confidence. The news comes more than a week after Philips announced it would close its remote-control and home automation division, rather than sell the assets. Philips had claimed that “no suitable partner was found for the acquisition of these [Pronto] activities,” even though major U.S. vendors told CE Pro that Philips never approached them about a potential acquisition. It appears, however, that a partner has indeed been found. 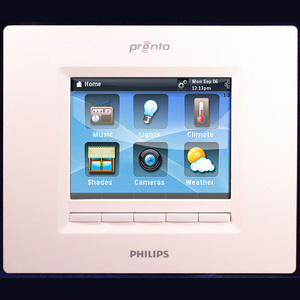 The distributor claims that the new Pronto Edit Pro 3 (PEP3) programming platform is still scheduled to ship this month, and that the Philips TSW9500 in-wall touchscreen will be delivered in December, as originally planned. 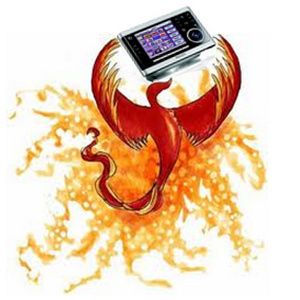 Furthermore, a new central controller (the Pronto CRX?) is scheduled to ship in the first quarter of 2011, according to the distributor. The comments affirm what CE Pro learned last week from a U.S. manufacturer that had inquired about purchasing some Pronto assets from Philips. The manufacturer shared with CE Pro some correspondence that indicated Philips was pursuing other partnership opportunities. So Why the Announcement of Pronto’s Closure? Why did Philips announce in the first place that it was closing its Belgium-based Pronto business and that it could not find a buyer, even though U.S. manufacturers told us Philips never even approached them? We have heard that Belgian and/or EU regulations prohibited Philips from selling its assets to a company that would send manufacturing overseas. We know for sure that Philips had attempted to move its manufacturing to Asia, but was unable to do so. Our distributor source in Europe points to the “Renault law” — named after the sudden announcement of the closure of the Renault plant in Vilvoorde in 1997 — which requires that companies with more than 50 employees make a public announcement prior to business closure or impending layoffs, allowing time for employees to respond. Further to the Renault case (related to the sudden announcement of the closure of the Renault plant in Vilvoorde in 1997), some changes to the procedure for collective dismissals were introduced by the promotion of Employment Act of 13 February 1998 clarifying the obligation of employers to consult with workers’ representatives and creating an obligation on employers to analyse and formally respond to any proposals from workers’ representatives. In addition, sanctions for non-compliance are strengthened to include the reimbursement of any subsidies paid by the federal Government to the employer to create jobs. So Philips dealers and distributors are optimistic that the Pronto will rise again. Meanwhile, competitors are banking on the uncertainty. For its part, URC is offering training for Philips Pronto dealers, helping them to convert them to URC’s CCP programming platform. Training begins this week. Philips posted this notice to Pronto dealers today, indicating that PEP3 programming software will be released this month, and the new TSW9500 in-wall touchscreen will be distributed on a “best-effort basis.” In the U.S., call center support services will be offered at least through 2011. This letter is intended to clarify the consequences of Philips’ decision to close our Pronto business unit in relation to support, warranty, product and software availability. Although Philips will stop selling Pronto products, we will continue to offer product service and support for the Pronto products. The intent of Philips is to make sure all warranty and service obligations will be honored by Philips. For the United States, Philips will continue to offer call center support services (888-773-7384) until at least the duration of 2011, and the Pronto repair center will remain operational throughout that time. Outside the USA, all warranty obligations will continue to be honored by the present Pronto distributors. Philips will ensure that a sufficient stock of spare parts will remain available to service product repairs. Regarding products and software, all current Pronto products are still available for purchase by Pronto distributors throughout the month of November. Dealers are advised to order any additional products from their distributor immediately to secure their required product quantities. The recently announced ProntoEdit Professional3 (PEP3) will be released as scheduled this month. The TSW9500 product will be distributed on a best-effort basis, depending on the received orders and availability of components and resources to manufacture the unit. It is also Philips’ intent to put forth a best effort to make firmware for all TSU and RFX devices available to be fully compatible with PEP3. We hope to have informed you sufficiently and would like to thank you for the loyalty you have shown to the Philips Pronto products. Philips Pronto: What Went Wrong? Integrators and other business partners say the iPod/iPad wasn’t to blame for the demise of Philips Pronto; why didn’t Philips try harder to find a buyer? How hard did Philips try to sell its Pronto remote-control division? Some of the major vendors in the CE pro channel never heard from the company, which announced last week it was closing its Pronto business unit. When contacted by CE Pro, many of the obvious acquisition partners said Philips never approached them about buying the Pronto operation or its intellectual property. Why is that? The closure of the Pronto division strands thousands of CE pros – including integrators and manufacturers – who invested in product training and software development, not to mention inventory. While these customers need not be the concern of Philips, which must answer to shareholders, their commitment to the Pronto line suggests that a buyer could be found if Philips tried a little harder. Indeed, some potential buyers are scrambling now to inquire about the Pronto IP. Replying by email to several questions posed by CE Pro, Philips had virtually nothing to say about the demise of Pronto, except that it was (understandably) too niche of a line for the Philips Consumer Lifestyle portfolio. Is the IP still available for sale? Was the iPad/iPod to blame? Were Pronto price increases to blame? So What Happened to Pronto? Since Philips isn’t talking, we are left to our own speculation about why Philips closed Pronto and why a buyer wasn’t found. The obvious question is: Did the iPod/ iPad kill Pronto? Probably not, according to industry insiders interviewed by CE Pro. More likely, Philips Pronto became too expensive, versus similar products from Remote Technologies Inc. (RTI), URC, Universal Electronics Inc. (UEI Nevo) and even Control4. Philips is based in the Netherlands. Most of the Pronto business, including manufacturing, takes place in Belgium. Philips tried to shift Pronto manufacturing to Asia, but the company continued to build product more expensively in Europe. There is some speculation that agreements within the European Union hindered Philips’ ability to build Pronto products overseas. Last year, Philips raised wholesale prices across the Pronto product line by as much as $200. “I think Pronto couldn’t compete in the marketplace anymore,” says Richard Scholl, CEO of Worthington Distribution, a large Pronto distributor serving the custom integration market. Scholl says Pronto business dropped substantially last year after the price increase, and not because of competition from the iPod or iPad. Had Pronto kept prices down, in line with its competitors, it would have made a “major difference,” Scholl says. According to Scholl, distributors have the opportunity to buy Pronto inventory until November 29, 2010, after which Philips will no longer accept orders. It still leaves us wondering: Why didn’t Philips reach out to the usual suspects before shutting its doors?